Delicious Bologna Food Tours | Tortellini, the pasta inspired by Venus' navel. 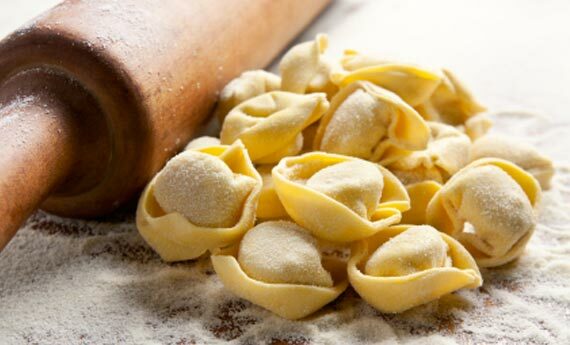 Typical from the Emilia Romagna region, tortellini is the world most famous filled pasta. Did you know that this kind of pasta was inspired by Venus’ navel? Typical from the Emilia Romagna region, tortellini is the world most famous filled pasta. Tortellino comes etymologically from tortello, a diminutive of torta, which means pie in italian. Tortellini are called so because they are filled just like little pies. THE LEGEND: Did you know that this kind of pasta was inspired by Venus’ navel? Tortellini have been considered for a long time a Bolognese dish. However, there exists an eternal rivalry between Bologna and Modena since both of them claim its paternity. Also, there’s always been some confusion concerning the “perfect” stuffing for tortellini. This is the reason why the “Dotta Confraternita del Tortellino”* decided in 1974 to make public the original stuffing recipe of tortellini, which is a mix of: loin of pork, proscuitto crudo (cured ham), mortadella di Bologna, Parmesan cheese (Parmigiano Reggiano), eggs and nutmeg. Even though it is a very ancient tradition, every family has its own recipe, more Parmigiano, less Parmigiano, etc. Making tortellini is a complicated operation and has long been the domain of women. Grandmothers and mothers handed down the tradition to daughters and granddaughters. The legend explains to us that Venus, the goddess of love, once stayed in a tavern in the town of Castelfranco Emilia, halfway between Modena and Bologna. The proprietor of the tavern spied on Venus through the keyhole of her room and saw a part of her body, her belly. 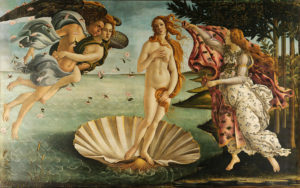 Impressed by the beauty of it he decided to run into the kitchen, roll out a sheet of fresh egg pasta and invent a pasta shaped like Venus’ navel. Check out the “Dotta Confraternita del Tortellino” website for more information.